I’m using a RDS combo toolbox and fuel tank, which gives me very limited space for storage. Though it takes up the bulk of the front of the bed, most of that space is used for fuel, and only has a 41″ x 20″ x 6.25″ area for tool storage. Pair the limited storage with my tonneau cover, which keeps me from fully opening the lid, I’m not using it much. I keep a very minimal assortment of tools in it and now my TPMS capsule. The fact that it is mostly empty may work out well because the TPMS capsule can move and bang around in there, keeping the sensors awake. 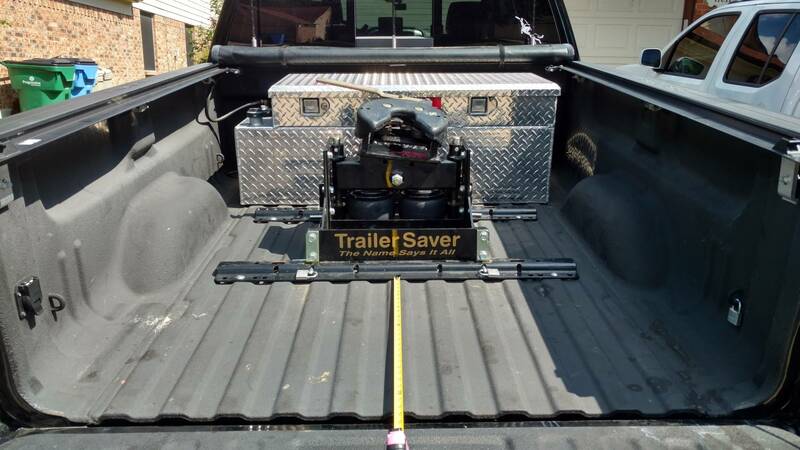 In search of a better solution, I decided to go with a split toolbox design and put a second box between the hitch and tailgate. There are a few designs for them, but ultimately I want to fill them with my cordless drill, driver, impact wrench, batteries, socket set, separate wrench sets, screwdrivers, etc, so I need a chest style to do so. 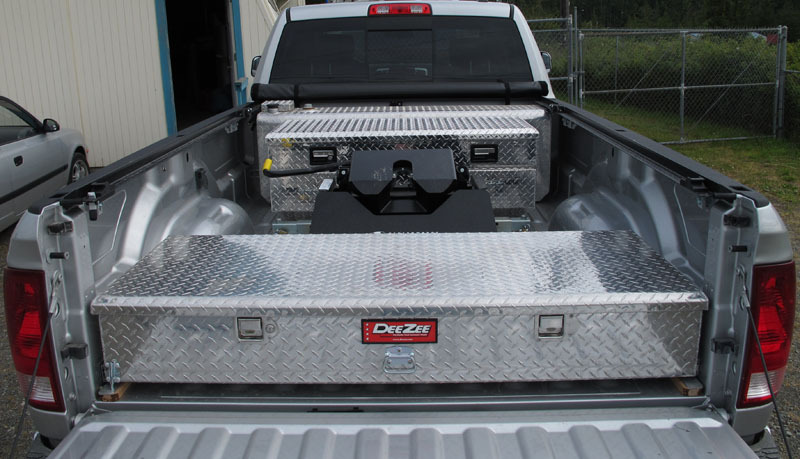 There are two or three vendors that make 57″ x 22″ x 12″ chest sizes, which appear to be perfect, but with the 57″ width I would once again be unable to fully open the lid due to the tonneau cover. 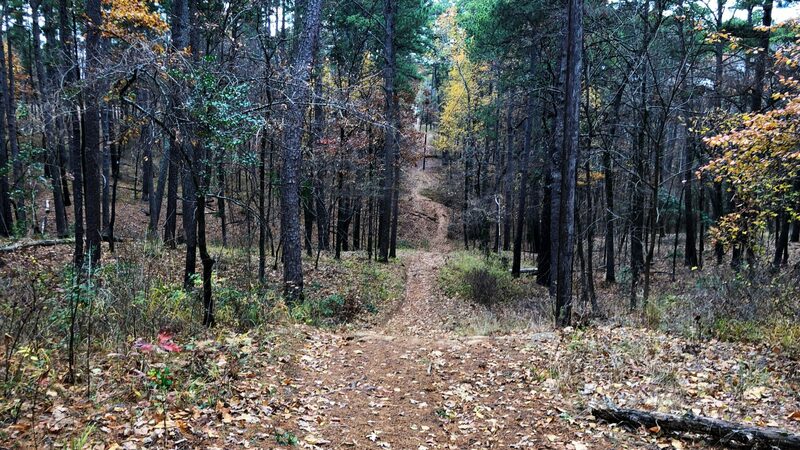 I contacted K&W Manufacturing today and they’re going to build me a 52″ long version of their CKWTB200-57 for the same price they charge for a standard toolbox. I have a short bed, but all measurements work. This is a current photo of my truck bed, with the RDS, hitch, and a measuring tape where I plan to put the new box. Instead of sitting on sliding rails like his does, and a 9″ tall box, this box will be a little narrower but 3″ taller and statically bolted in place to keep it from walking off. And the tailgate will be shut against it and locked to further increase security.